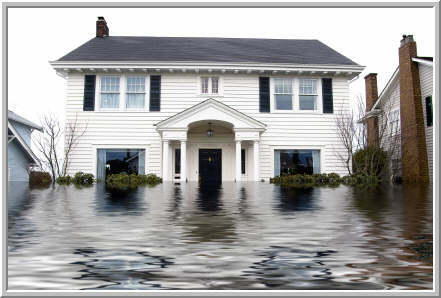 Flood Cleanup Morris County NJ – With a service area that includes homes and businesses in Morris County, Flood Cleanup Morris County NJ and AllStates Services is the company you can count on when it comes to Flood Cleanup and Restoration, wet carpet water removal, water damage repair and flooded Basement odor removal. We take pride in providing top hi quality service along with offering a wide range of cleaning services to improve the quality of life for homes owners in Morris County. 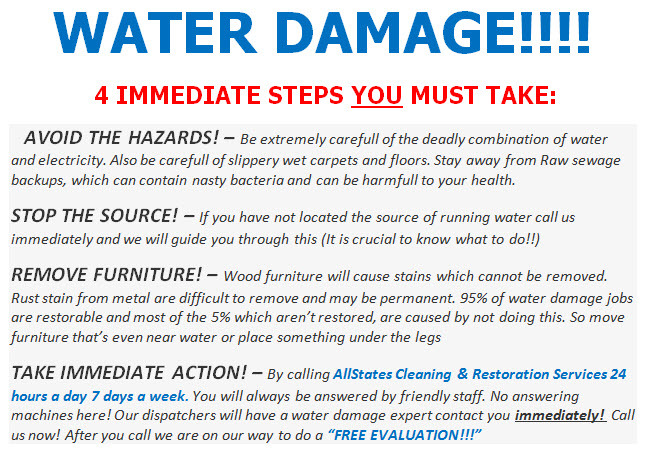 Some of these hi quality services we offer include carpet cleaning, rug & upholstery steam cleaning, tile & grout restoration, nodust hardwood floor refinishing, as well as mold testing and mold remediation We believe that our quality workmanship, customer service and comprehensive solutions make our business stand out, We At Flood Cleanup Morris County & AllStates Restoration Services, we want you to be satisfied in fact, absolutely delighted with every service we do. So every service comes with our 100% Satisfaction Guaranteed. 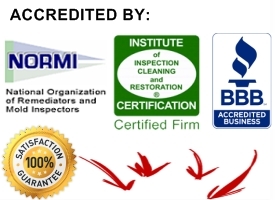 we proud member of Ethical Services, BBB and IICRC. When your home has been damaged due to water leak or flooding as well as fire damage, or a combination of both you need drying service, we at Flood Cleanup Morris County NJ can help you! We make it easy to get started and our professionals will guide you every step of the way from cleaning, Drying and repairs the damage to helping you with your insurance claim and paperwork. Some of the Services Flood Cleanup NJ provide: Rain Water Removal, Storm Water Damage Restoration, Rain Water Pump Out, Furnace puff back cleanup, Oil burner puff backs, Wind Damage, Temporary Power, Furnace puff back soot cleaning, Boiler puff backs, Puff back, Puff backs, Dehumidifying, Pipe thawing, Busted pipe. Some of the communities in Morris County County that we cover include: Boonton Township | Brookside Water Damage Remediation | Budd Lake | Butler | Cedar Knolls | Water Damage Chatham | Chester | Convent Station | Denville Water Damage Restoration | Dover Basement Water Drying | Water Damage Restoration East Hanover | Flanders | Emergency Water Damage Service Florham Park | Gillette Water Damage Basement | Green Village | Greystone Park | Hanover | Basement Water Removal Harding | Hibernia | Ironia | Jefferson Township | Kenvil | Kenvil | Kinnelon | Lake Hiawatha | Lake Hopatcong | Landing | Ledgewood | Lincoln Park | Water Damage Long Hill Township | Long Valley | Madison Sewage Cleanup | Water Damage Mendham Borough | Water Damage Drying Company Millington | Flooded Basement Drying Mine Hill | Basement water Extraction Montville | Sewage Cleaning Company Morris Plains | Sewage Remediation Service Morristown | Mount Arlington | Water Extraction Mount Freedom | Mount Olive | Mount Tabor | Mountain Lakes Water Restoration | Netcong | Water Damage Mold New Vernon | Flooded Basement Cleanup Parsippany | Pequannock Water Damage Remediation | Water Damage Restoration Randolph | Riverdale | Sewage Cleaning Rockaway | Water Restoration Company Roxbury | Schooleys Mountain | Water Damage Cleanup Stirling | Flood Restoration Succasunna | Flood Water Damage Towaco | Flood Water Removal Victory Gardens | Washington Township | Water Damage Contractor Wharton | Sewage Removal Whippany.